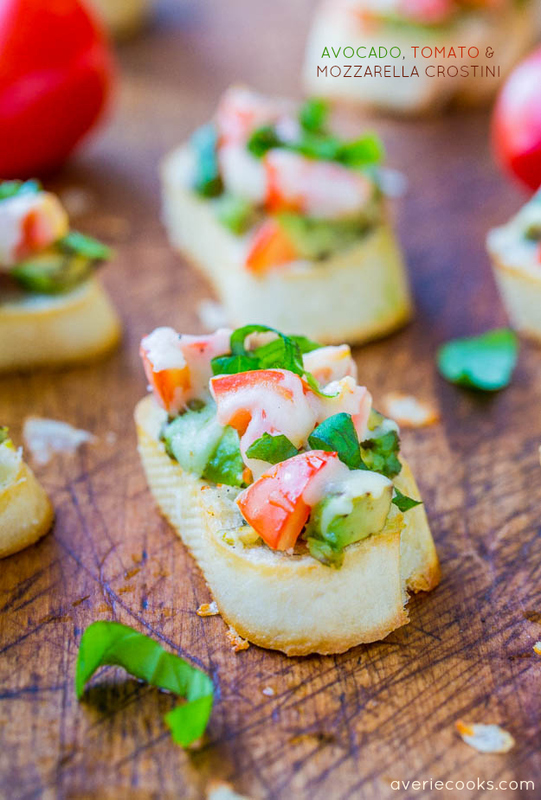 I love appetizers so much. I’d rather have them than entrees. And of all appetizers, baked brie is my absolute favorite. And this is the best baked brie. Quite a claim, but it’s that good. 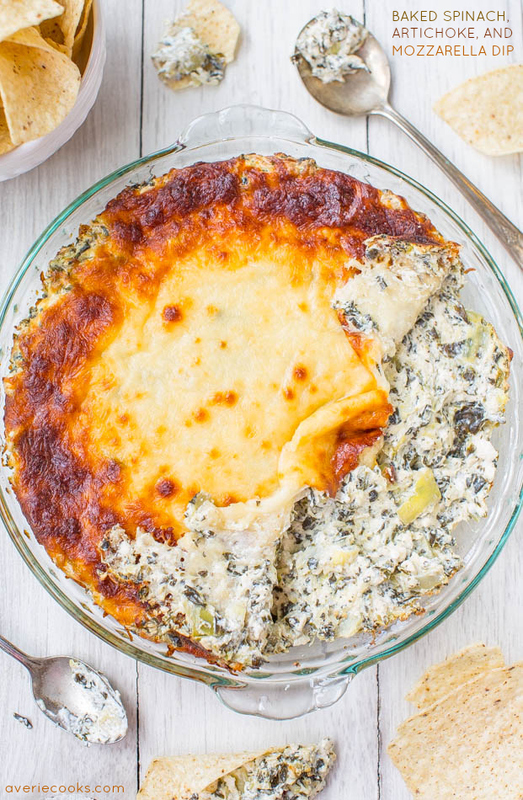 It’s such a simple recipe with just three ingredients, but it’s amazing how satisfying, comforting, and just face-stuffing worthy it is. 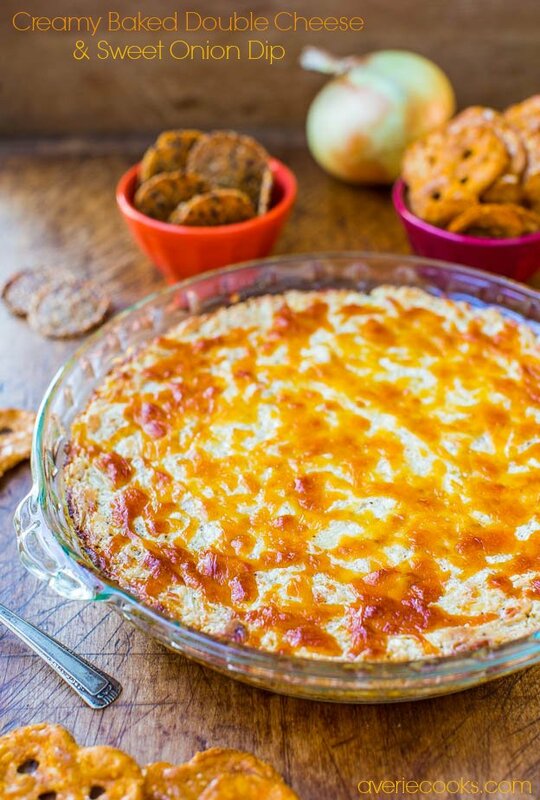 It pairs salty-and-sweet, with smooth and creamy. 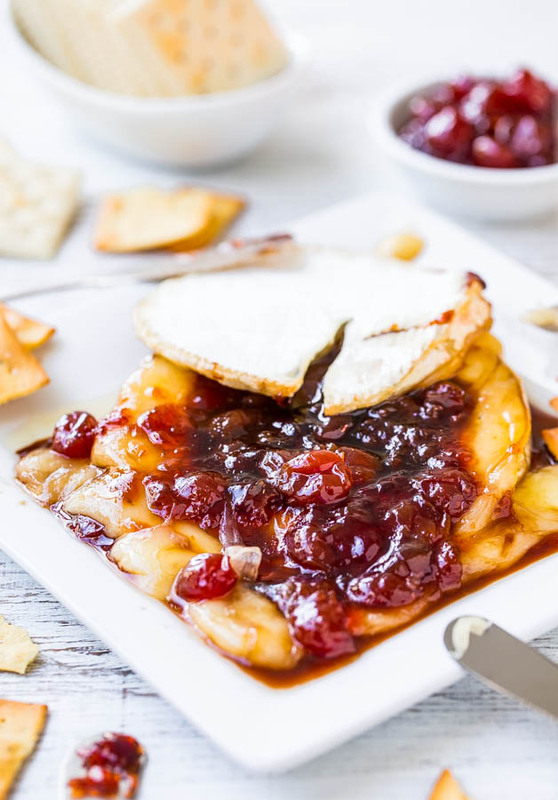 Throw in the texture and chewiness from the cherries, and served on top of crunchy crackers, it’s a total slam dunk. 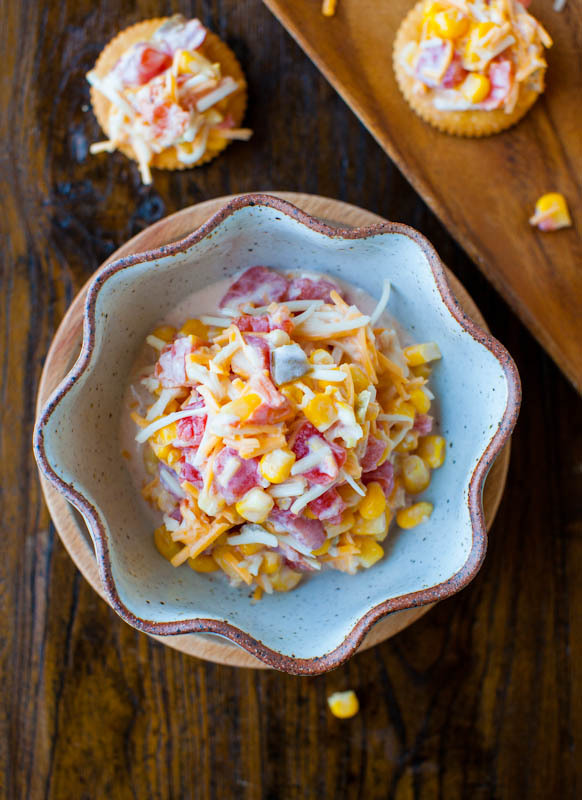 It’s ready in less than 15 minutes, making it the perfect last-minute party appetizer. 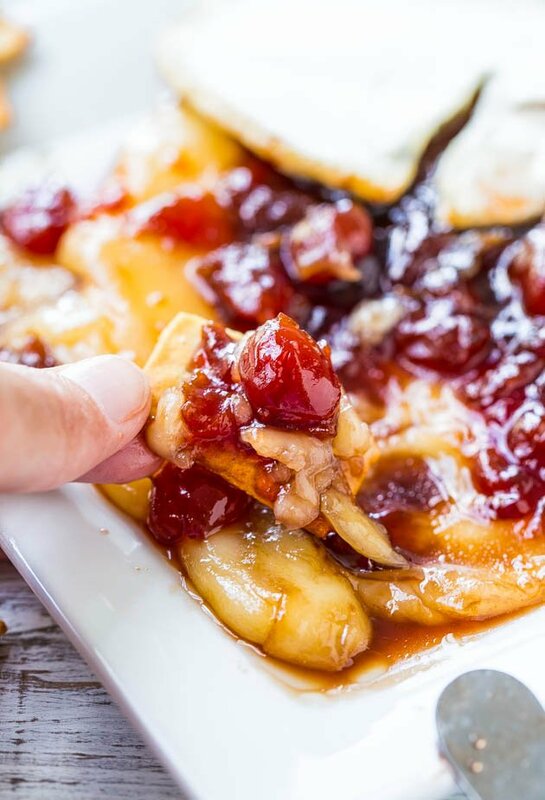 To make it, slice the top off from a wheel of brie, spoon on a mixture of cherry jam and balsamic vinegar, put the top back on, and bake for 10 minutes. Mindlessly easy. 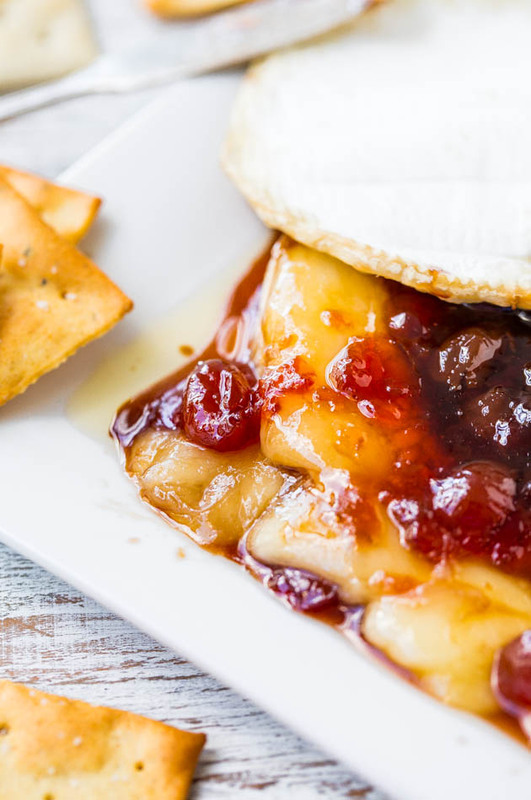 One thing notably absent from this baked brie is puff pastry or any kind of pastry or pie dough. 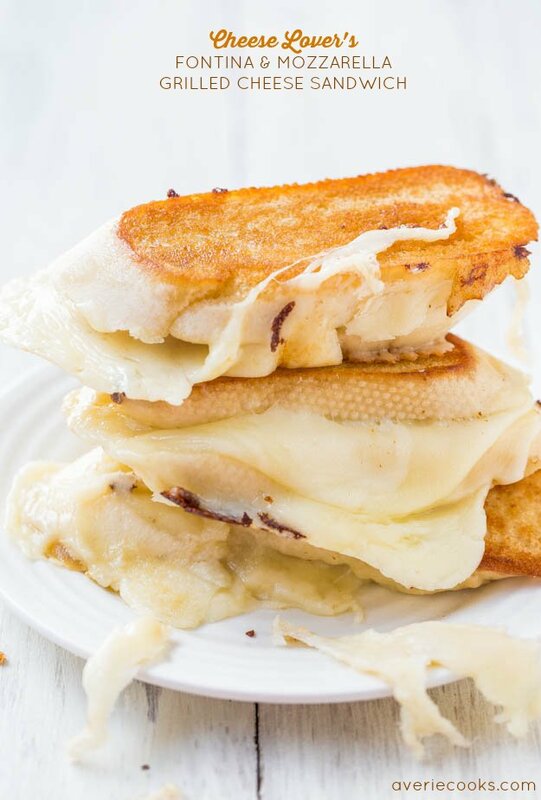 Many times when brie is baked inside dough, the dough overwhelms it, and I find myself having to weed through way too much dry, tasteless bread to find the melty cheese that I covet. If I wanted puff pastry, I’d make cream puffs. 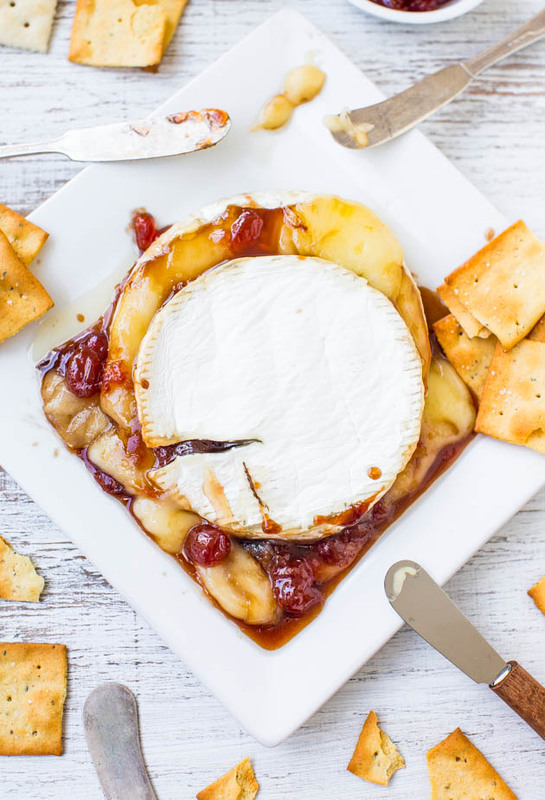 The cheese is melty, luscious, and the saltiness is tempered by sweet-yet-tart cherry jam and balsamic vinegar. 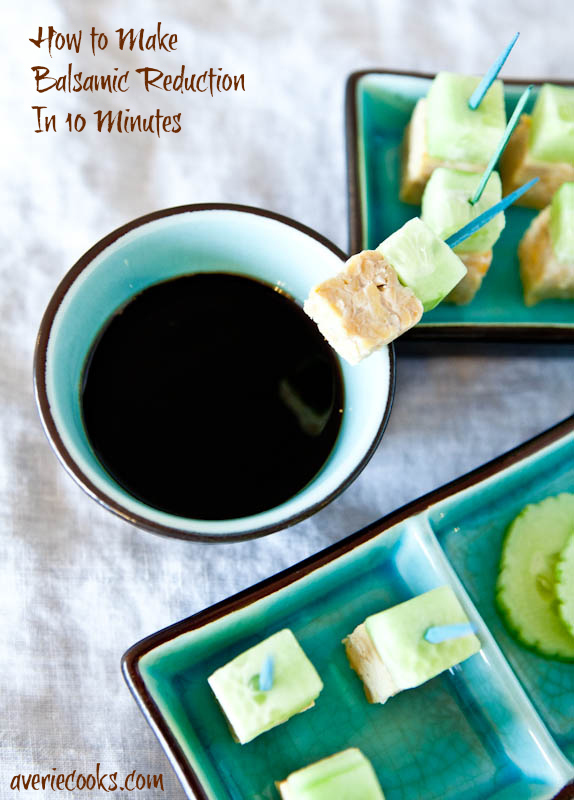 I love all things balsamic and could drink balsamic reduction. Plucking out those sweet and tangy cherries from the big pile was so satisfying. 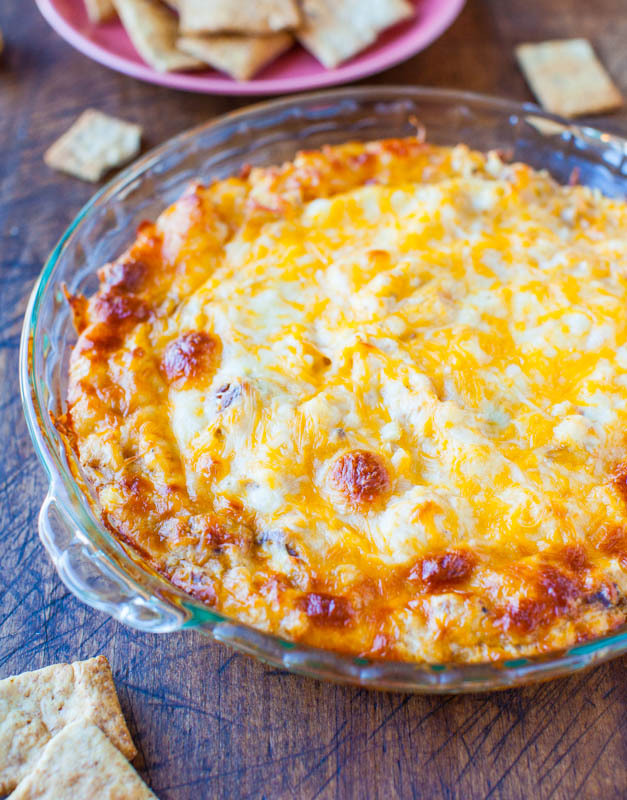 This is without a doubt my favorite appetizer I’ve ever posted. I don’t know why it took me 5 years and hundreds of recipes later to do so, but better late than never. If it was served at a party, I’d make sure to babysit the table until it was gone. It was so good that it took every ounce of willpower not to devour the whole thing. Definitely and totally worth the cardio. 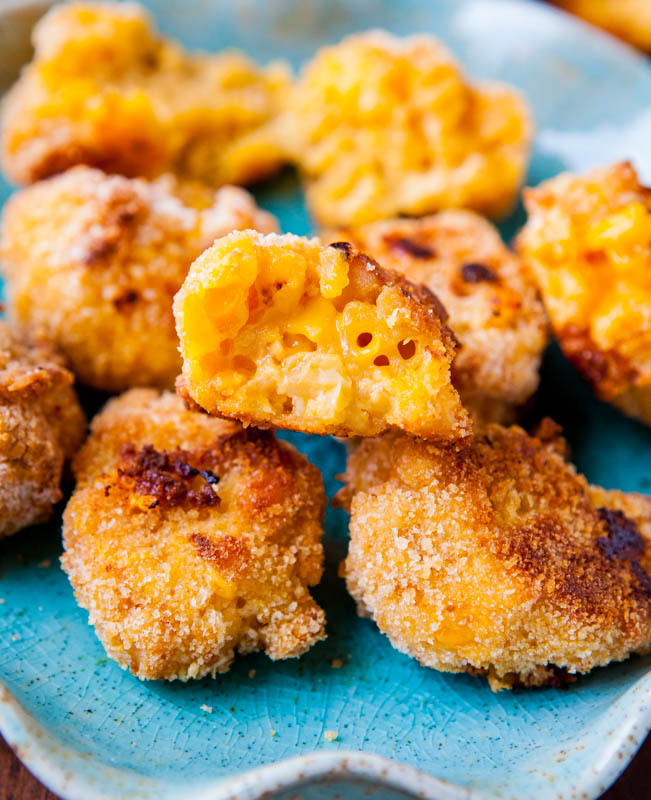 This is such a simple recipe with just three ingredients, but so satisfying, comforting, ready in less than 15 minutes, and a perfect last-minute party appetizer. It’s my favorite appetizer ever, and the best brie I’ve ever had. 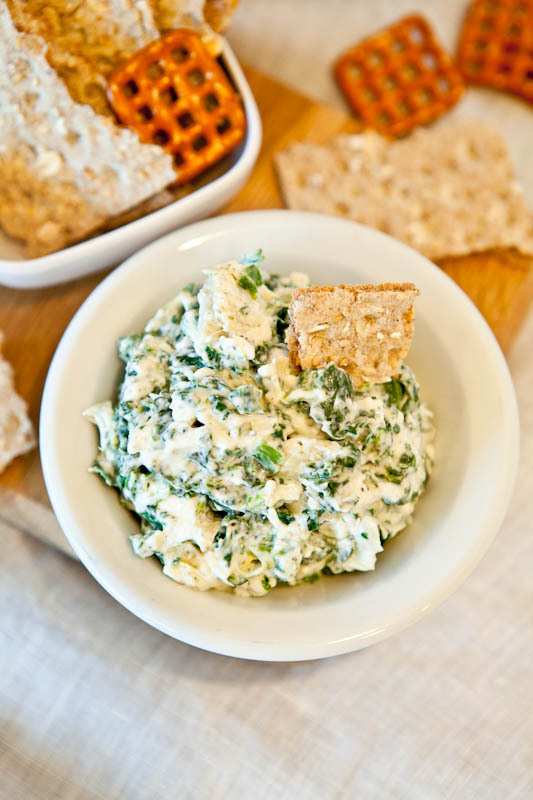 It pairs salty-and-sweet, with smooth and creamy. 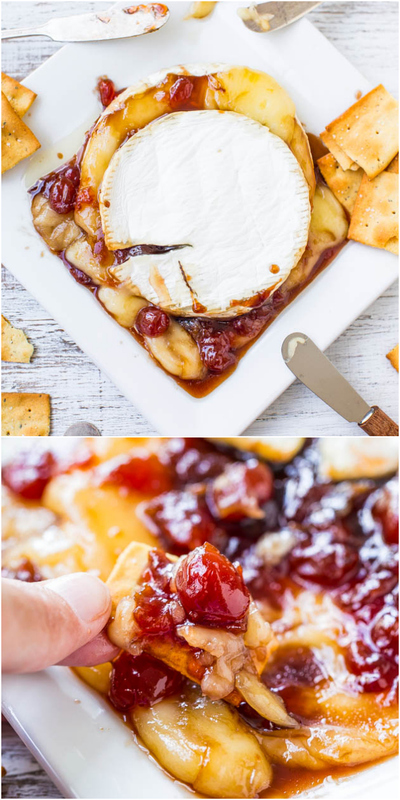 Throw in the texture and chewiness from the cherries, and served on top of crunchy crackers, it’s a total slam dunk. 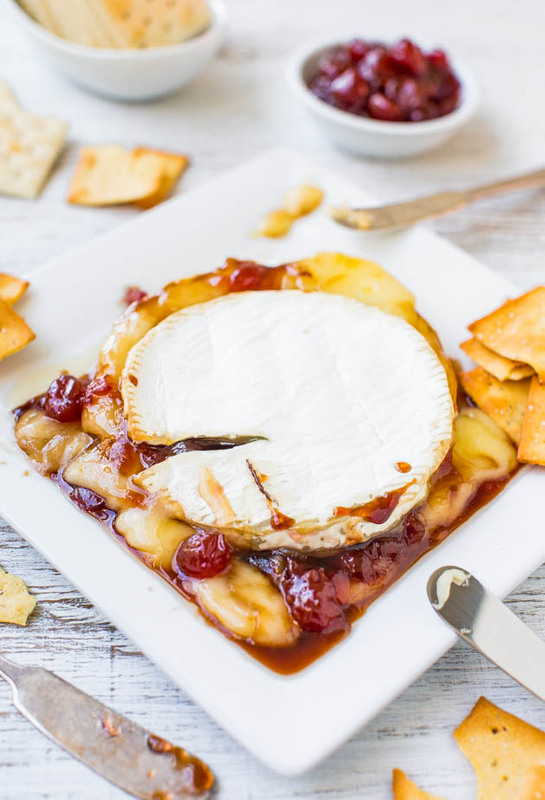 The cheese is melty, luscious, and the saltiness is tempered by sweet-yet-tart cherry jam and balsamic vinegar. Make it and watch it disappear. Preheat oven to 400F. Line a baking sheet with a Silpat or spray with cooking spray; set aside. Place brie on a cutting board and slice off one end of it so that the ‘top’ is about 1/8-inch thick. Cutting through the rind takes a bit of elbow grease. Use a sharp knife, take your time, and be careful. Place base of brie in the center of prepared baking sheet with the top nearby; set aside. In a small bowl, stir to combine the jam and balsamic vinegar. Taste and make sure you like the balance of flavors; adjust if necessary. Spoon jam mixture over the center of brie and keep a bare 1-inch margin around the perimeter to help prevent runoff while baking. Loosely place the brie ‘top’ over the jam mixture. 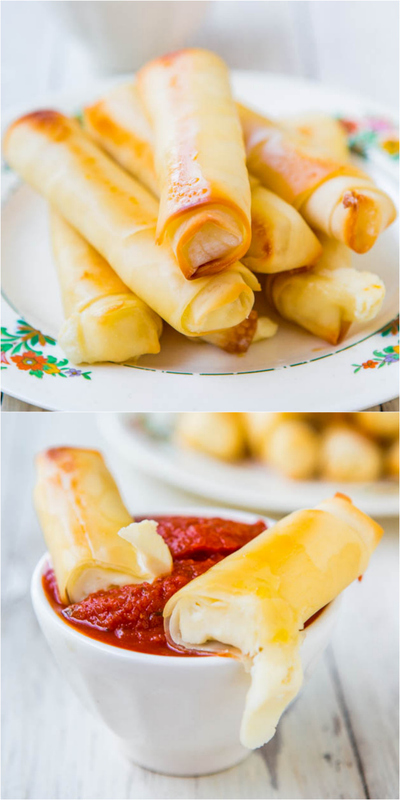 Bake for 10 minutes, or until cheese has melted. In the final moments, jam may runoff which is okay, but keep a watchful eye to make sure it’s not burning if it’s touching the baking sheet. Using two large spatulas or whatever method is easiest, transfer brie to serving platter. 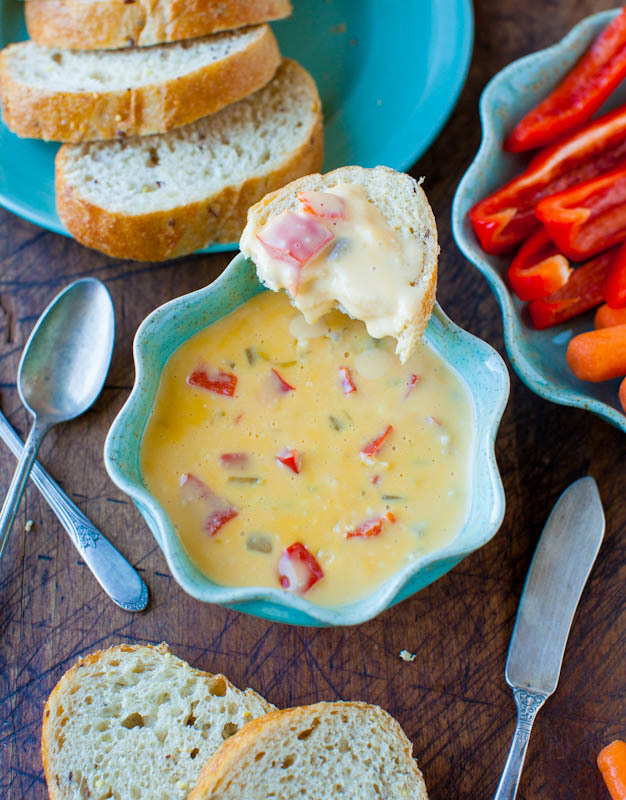 Serve immediately with your favorite bread, crackers, etc. 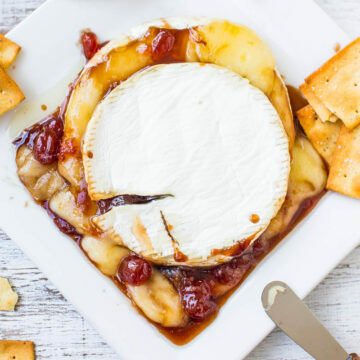 Brie is best warm and fresh, although will keep airtight in the refrigerator for up to 1 week, including the cherries. It firms up, but slicing pieces off and serving on crackers or bread works fine. Can I use fresh cherries?! Yes but you’d probably want to add some sugar and mash them a bit and cook them down a bit because you won’t get the same drippy, juicy factor without doing it. 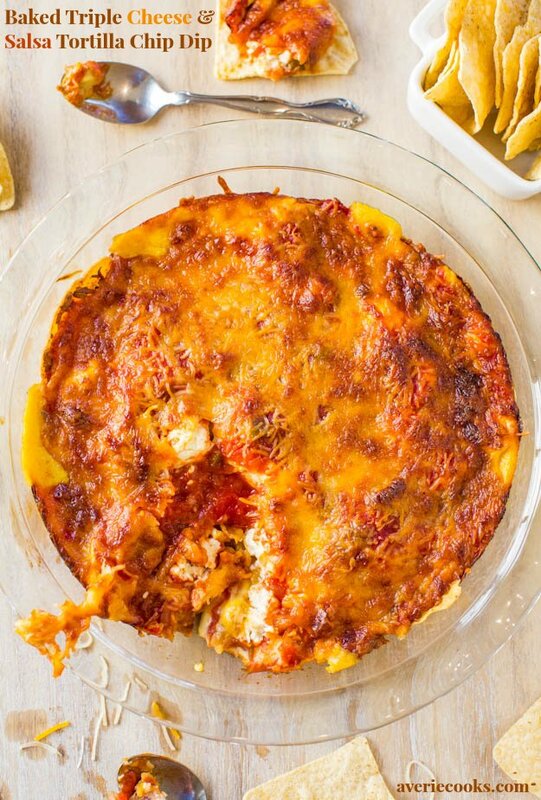 Can you bake this in a brie baker? I got one as a gift and have never used it! I’ve never ever heard of that item! I don’t know since it’s news to me!